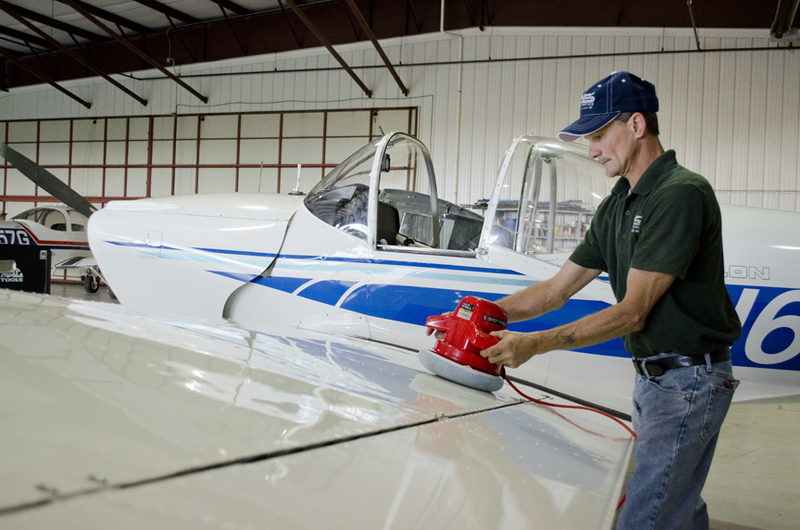 Elite Air Service Offers Complete Aircraft Cleaning/Waxing/Detailing. Protect Your Aircraft! Satisfaction Guaranteed! Complete exterior aircraft clean and detail by hand followed by a complete spray wax and light hand polish. Clean landing gear, gear doors, cowl flaps and belly of aircraft. Vacuum and clean interior seats and carpet, clean interior glass. a paste cleaner/wax including a polish and buff with an electric buffer. Exceptionally soiled aircraft may incur extra charge. Group F Aircraft King Air, Conquest, Cheyenne, DHC2 etc.